At Wheel Creations PVD, we make it easy to outfit your Lexus with black chrome rims that bring a feeling of luxury and class. We have great options available in our inventory, or you can send in the rims you already own and get them chrome plated with our exchange program. Whichever way you go, you’ll get premium rims that create a stunning look for your vehicle. The Wheel Creations difference starts with our unique Physical Vapor Deposition process. To achieve a smooth, sleek finish on each chrome wheel, we start by placing them in a vacuum chamber and pumping out all of the air. Chrome is then electrostatically sputtered onto each of the rims. This tested process creates high-quality wheels that can’t be duplicated by other manufacturers. It is also 100% environmentally safe, making it the optimum choice for environmentally-conscious drivers who want a top quality chrome wheel. When you want to give your Lexus some black chrome rims, you might think you have to purchase entirely new pieces. However, at Wheel Creations, we have a process that can apply the chrome plating to any rims you already have – just send them to our facility. You’ll still get a lasting finish that will look great on your Lexus that you can be proud of. These are some of the PVD chrome wheels we currently have in stock. If you don’t see your Lexus’s model listed below, we can still work with you to get the perfect PVD chrome wheel for your Lexus. We sell wheels outright to dealerships, body shops, and direct consumers, but we will also coat your wheels. We focus on more than just creating great looking chrome wheels. Making sure every rim is something you can enjoy for a long time without the hassle is also a top concern. The techniques we’ve developed are designed to give you the ultimate PVD solution with rims that are tough and more durable than other options on the market. 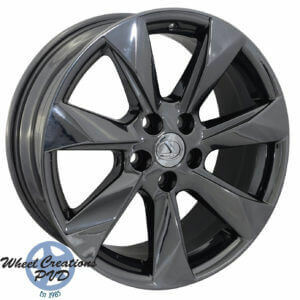 Lexus black rims from Wheel Creations withstand a variety of conditions everyday drivers face including curb rash, road chemicals, harsh weather, and more. Unlike traditionally chrome plated rims, the chrome on Wheel Creations wheels won’t peel or corrode. 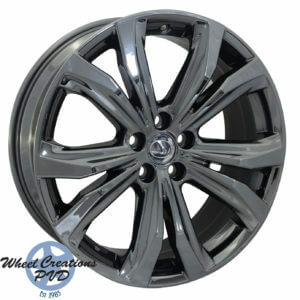 Browse our extensive wheel inventory whenever you want a durable, affordable chrome rim solution for your Lexus. 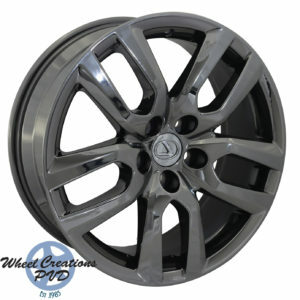 Rims from Wheel Creations can upgrade your vehicle with a sleek look. They are the perfect luxury chrome solution without the luxury price tag. Don’t wait any longer to upgrade your vehicle. Get Lexus black rims that will look great on your ride today. Our team can help you out whether you want to purchase new rims from our collection or get your stock rims chrome plated. 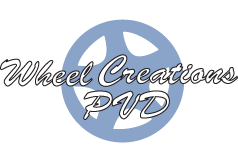 Give them a call today at (562) 381-2670 or email them at sales@wheelcreationspvd.com. They’ll be glad to assist you to find the perfect solution.